The centre is in Abenosuji Abeno-Ku. You can easily access to the centre by bus at Abenobashieki, AbenoHarukasu and Abenobashi bus stops or by train at Tennōji train station. The is an office space that offers a number of office solutions for your business, this centre offers co-working, private office and virtual office solutions on flexible and affordable terms. Support your business with the infrastructure this centre offers, and on-site staff that are on hand to assist with administrative and reception support. 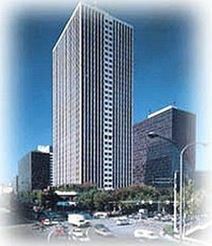 Top floor office available in a landmark building in Honmachi, Osaka's business centre. 5 minutes’ walk to Honmachi subway station with a further 5 minutes’ to Osaka/Umeda or Shinsaibashi/Namba station. Opening soon - In Naniwa Ward, Osaka is where you will find this coworking and private office centre spread over three floors. Close to a wide range of international retail venues, an abundance of restaurants, coffee shops, and hotels so you can obtain the perfect work-life balance. 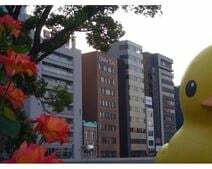 With great access to Namba station, access to wider Osaka as well as surrounding cities and towns, and even the major cities of Japan has never been easier. Fully furnished business centre located in the Golden Triangle, Osaka, Japan's second largest business city. Facilities include meeting/conference rooms, state of the art internet and network access with 24 hour access and security. The centre is in Fushimimachi Chuou-Ku. You can easily access to the centre by train or bus at Yodoyabashi train and bus station and there is just one minute walk from the centre. Higobashi Subway Station is near to the centre too. The is an office space that offers a number of office solutions for your business, this centre offers co-working, private office and virtual office solutions on flexible and affordable terms. Support your business with the infrastructure this centre offers, and on-site staff that are on hand to assist with administrative and reception support. Well connected to transit lines, this centre has premium access to Osaka and Kyoto due to Ibaraki-shi being a distribution hub for the area. An office space that offers a number of office solutions for your business, this centre offers co-working, private office and virtual office solutions on flexible and affordable terms. Support your business with the infrastructure this centre offers, and on-site staff that are on hand to assist with administrative and reception support. Situated in Osaka's financial district, this centre is located among commercial businesses, consulates, financial institutions, and regional corporate headquarters. Centrally located, this centre has prime access to utilise Osaka's transit system and is only a few stops from some of the cities important locations. 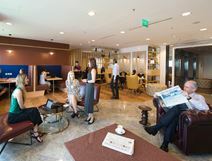 In this business centre you will find access to a range of office solutions from virtual to co-working and private suites, with access to business class amenities and support as well as board rooms, breakout space, and business lounges. 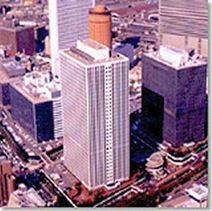 Office accommodation located in the prestigious Umeda area in Osaka. The building has a retail floor housing a famous shopping arcade of some 40 shops and restaurants and is connected directly to JR Osaka station and 2 other subway stations via a basement corridor. Perfectly situated for the travelling professional this Kansai International Airport (KIX) professional business centre has great transport links into the city centre while bilingual staff assist tenants of the fully furnished office suites, open plan spaces and meeting rooms. The centre is in Chuo-ku Osaka. The centre provide 24 hour access. 24 hour security, board room, CCTV, beverage, kitchen, copy/ print function and meeting room for your daily office use. It is close to 3 train stations. It is only 2 minutes by foot from Exit 26 of Keihan Line, “Kitahama” Sta and Subway Sakaisuji Line “Kitahama” station. You can also access to the other side of Osaka by Naniwa Bridge easily. Beautifully appointed co-working, private offices and meeting spaces. Virtual office options are also available. Vast windows offer excellent views of the surrounding area and enable plenty of natural light to reach the space. The centre is kitted out with state-of-the-art IT infrastructure. Reception and IT support is on hand. Situated on Midosuji Avenue. Honmachi Station is a 6 minute walk, Shinsaibashi Station is 7 minutes and Sakaisuji Hommachi Station is 10 minutes' away. In the vicinity, there are shops, bars, cafes, restaurants, hotels, banks and more. This impressive plaza building is situated in the heart of Osaka’s affluent Shinsaibashi district right along Osaka's most vibrant boulevard, Midousuji. Excellent transport links nearby with luxury shopping, international 5 star hotels and a wide range of dining options around the building. 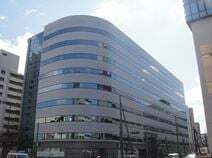 Conveniently located just 10 minutes from the heart of Osaka City centre, with excellent connections to the rest of the city, this building occupies a prestigious site. With many major corporations as tenants, this is an ideal location for branch offices. Set on the 19th floor of this 30-story building in the heart of Osaka, this business centre offers a range of co-working areas and fully furnished executive suites. With quick access to Kansai International Airport tenants also have meeting rooms and on-site cafes and restaurants and their disposal. The centre is also within close proximity to Nankai and Kentetsu rail stations and Midosuji subway line. Amazing transport links via multiple train and subway lines that provide easy access to Kansai International Airport from this professional business centre that offers tenants a range of flexible office solutions. Located with direct access to Yodoyabashi Station this centre provides great workspace for companies seeking small sized offices and is ideal for start-ups and SMEs. The area is also well-served by a number of restaurants and cafes. 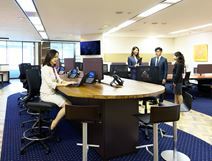 Located directly above Umeda station and only 10 minutes from the Shinkansen station, this comfortable contemporary office building provides a variety of workspace solutions on flexible terms to suit all kinds of businesses. Offering premium office solutions, this centre boasts all possible office options for your business from co-working space to virtual offices, even executive suites and customizable space. Located within close proximity to transit links, this centre has great accessibility and it only 15 minutes from Osaka International Airport. Nearby, you will find access to retails venues, food and beverage facilities, financial services, and hotels - everything you may need on a daily basis. With workspace for large and small businesses and co-working spaces available for individuals this centre is located in an 18-story building on the outskirts of the re-developed Osaka Garden City area. An attractive modern building in the heart of Osaka with fully equipped corporate board and meeting rooms, an executive business lounge and exclusive access to conference and meeting facilities in the Hilton Plaza, which it is conveniently linked to, which also facilitates underground access to the subway and Umeda JR Station. Open plan offices spaces located in the heart of business centre in Osaka. Excellent transport links with easy access to Hankyu Department Store, Hilton Hotel, banks and restaurants. Business centre with supporting services and professional staff on hand, situated near the terminal in Umeda, Osaka. Excellent public transport links with easy access to the shopping centre and restaurants.